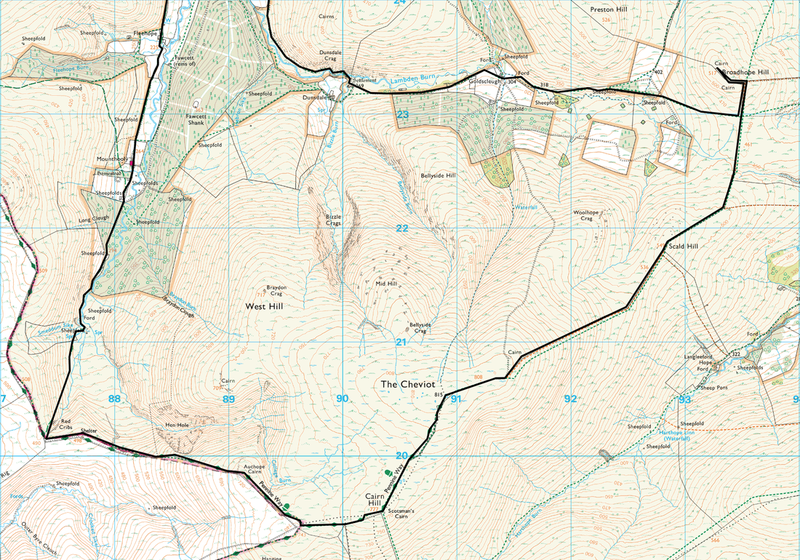 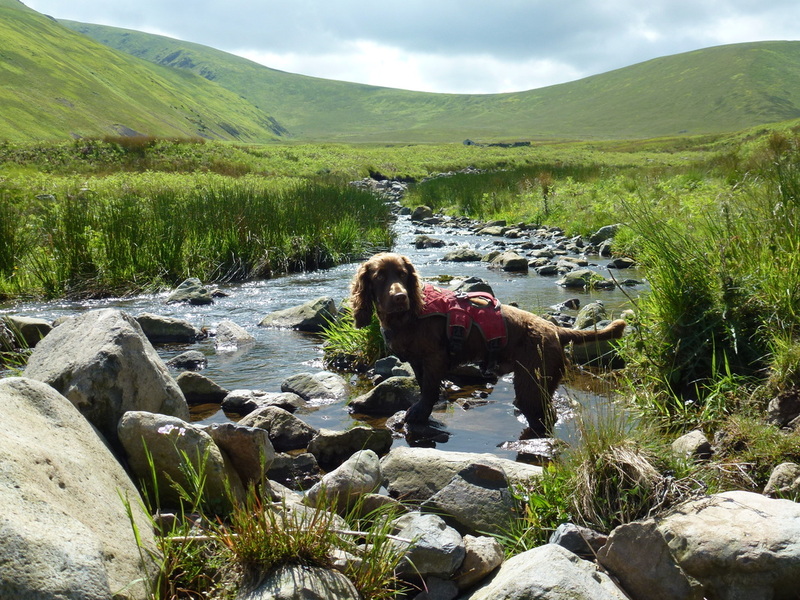 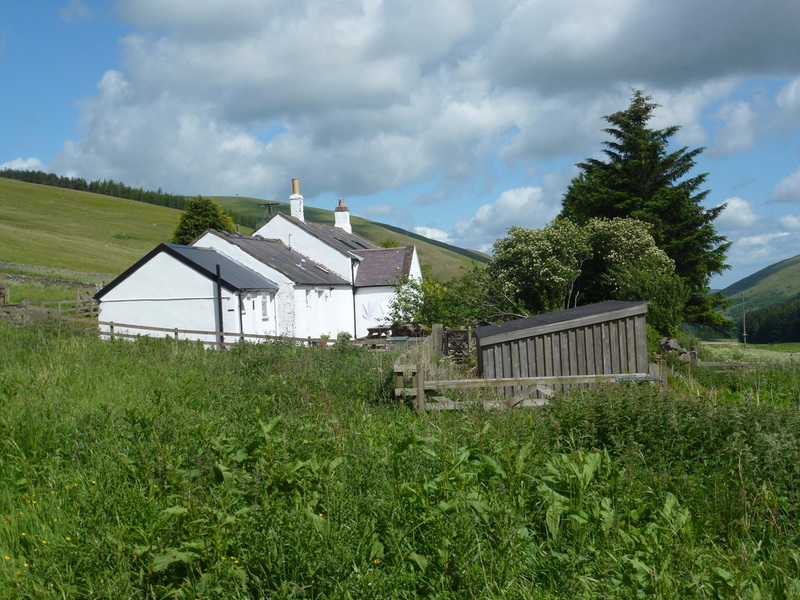 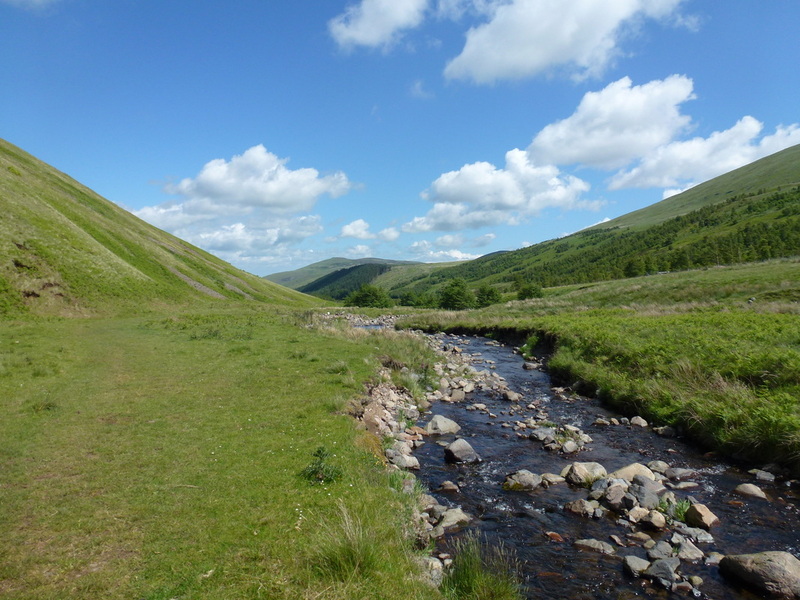 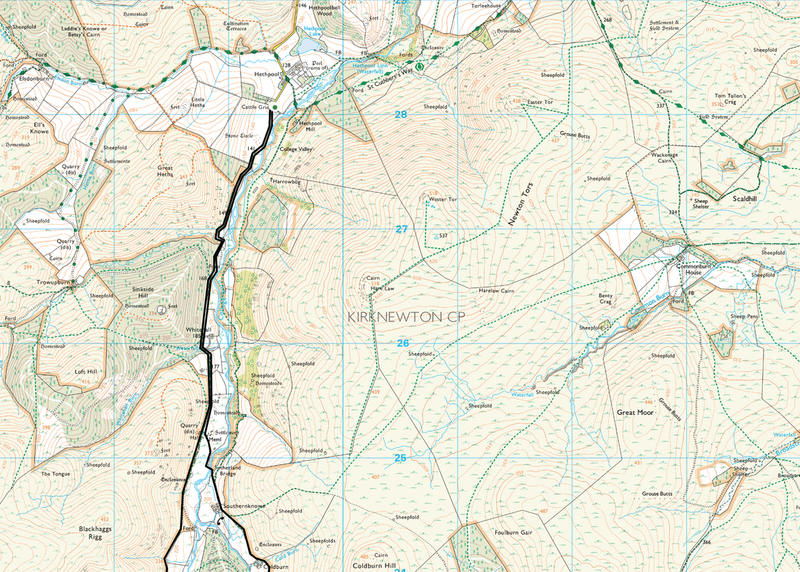 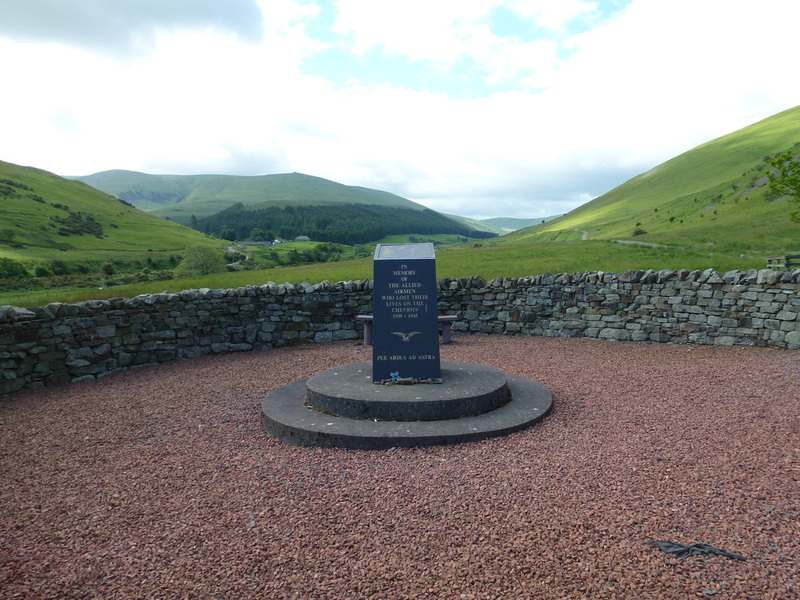 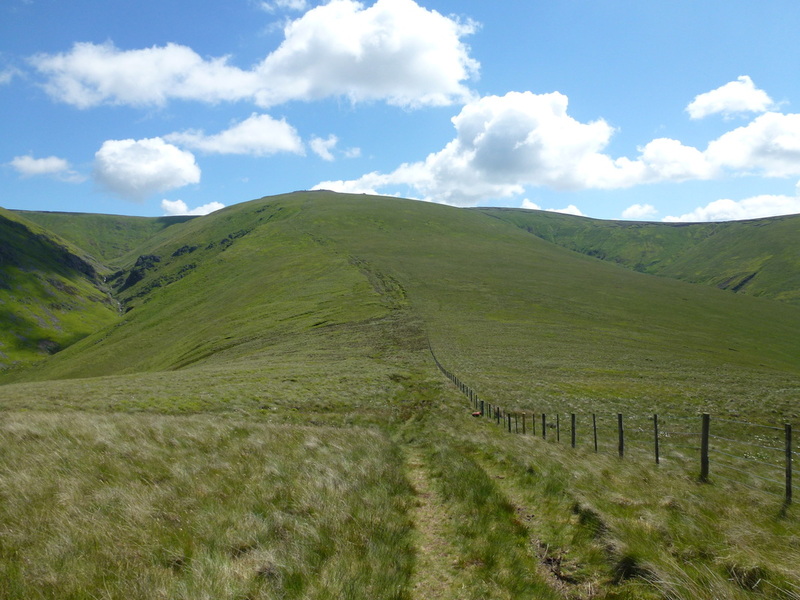 We had been wanting to walk the College Valley for a while and therefore had planned a route where we could also get up on to The Pennine Way and get over to The Cheviot too. 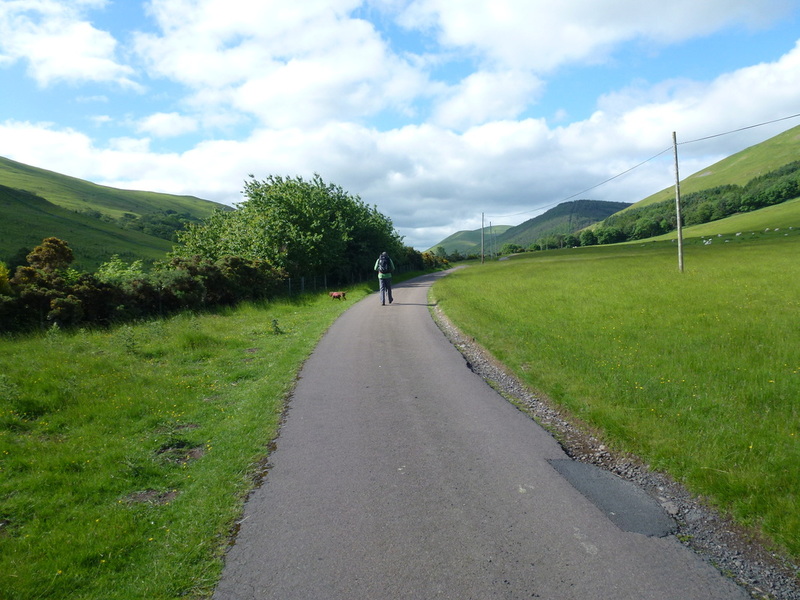 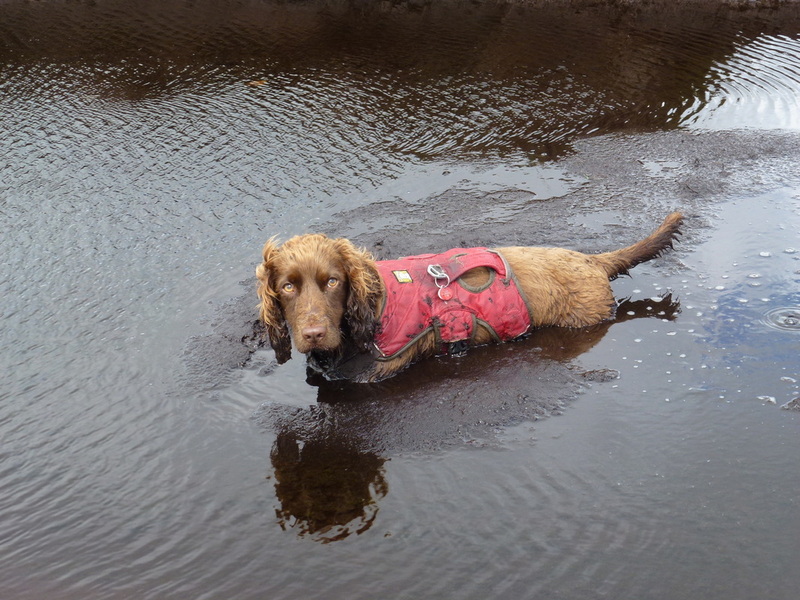 We were staying near Wooler therefore we started the walk from nearby Hethpool where there is plenty of free parking on the edge of the village. 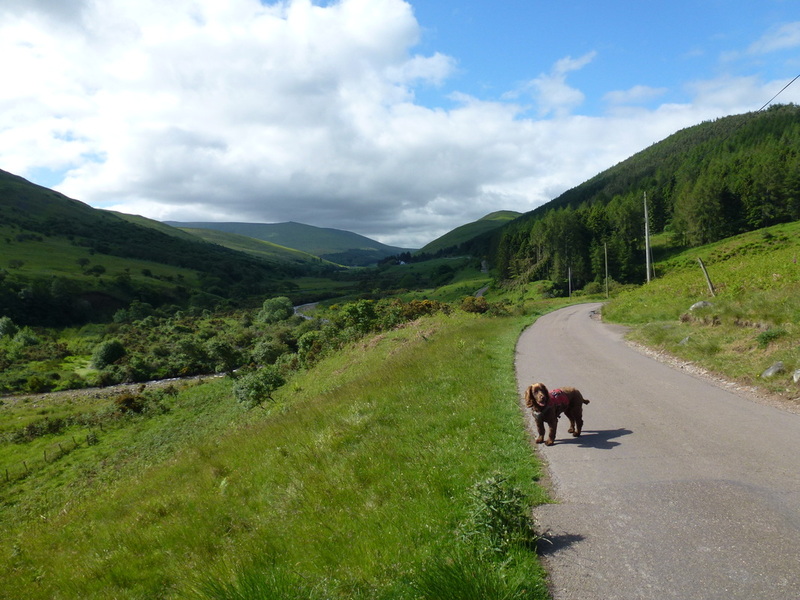 There is quite a bit of road walking at the start of the walk but this is on a very quiet track - we saw a handful of cars all day and anyway the views all around make up for this. 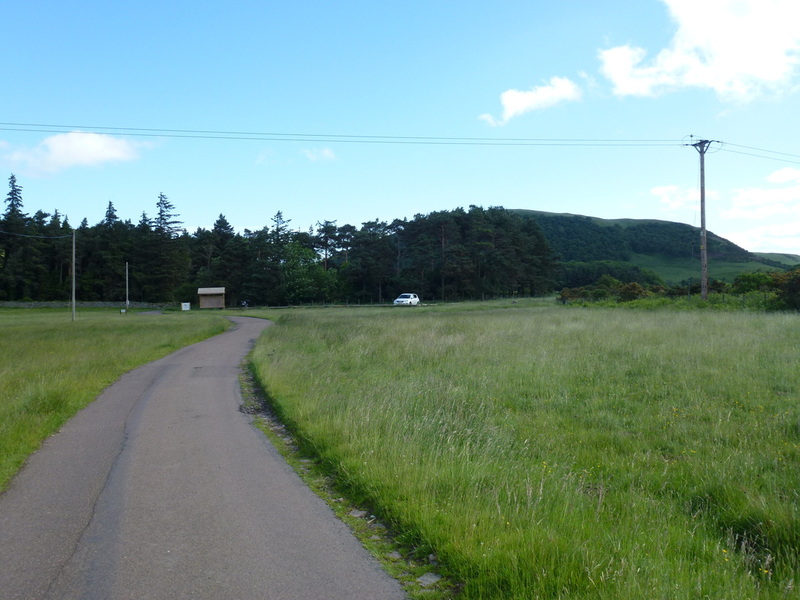 Passing Mounthooly Youth Hostel, the road ends and tarmac is replaced by springy turf as the route starts to ascend up on to the Auchope ridge with good views over to The Schil and West Hill. 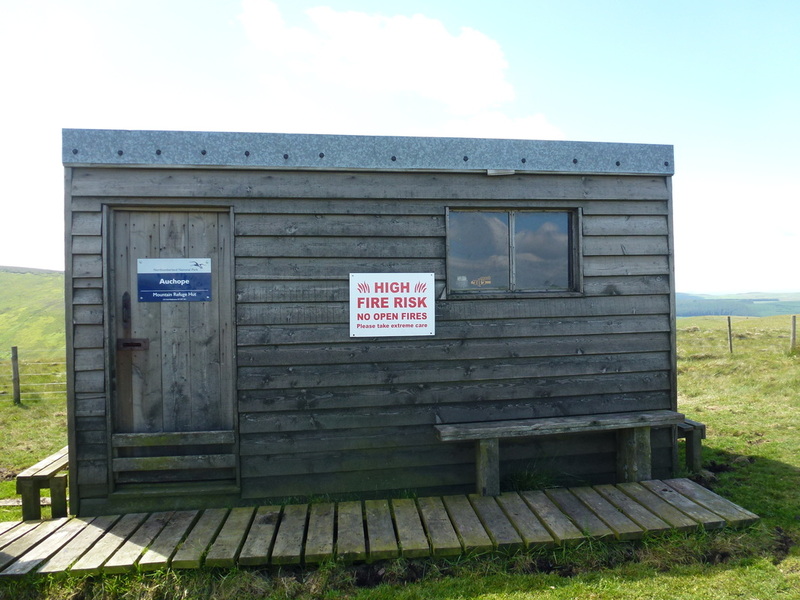 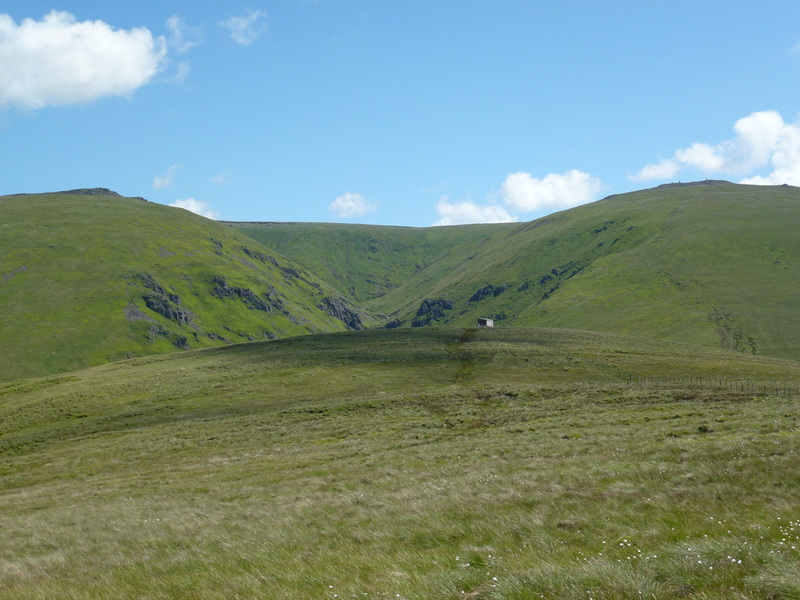 Reaching the ridge you join the Pennine Way and the Auchope refuge hut soon comes into view. 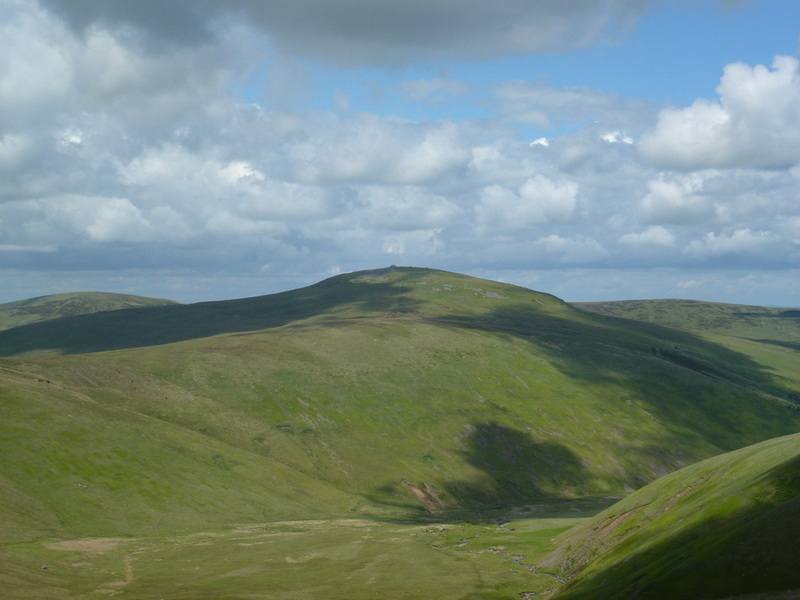 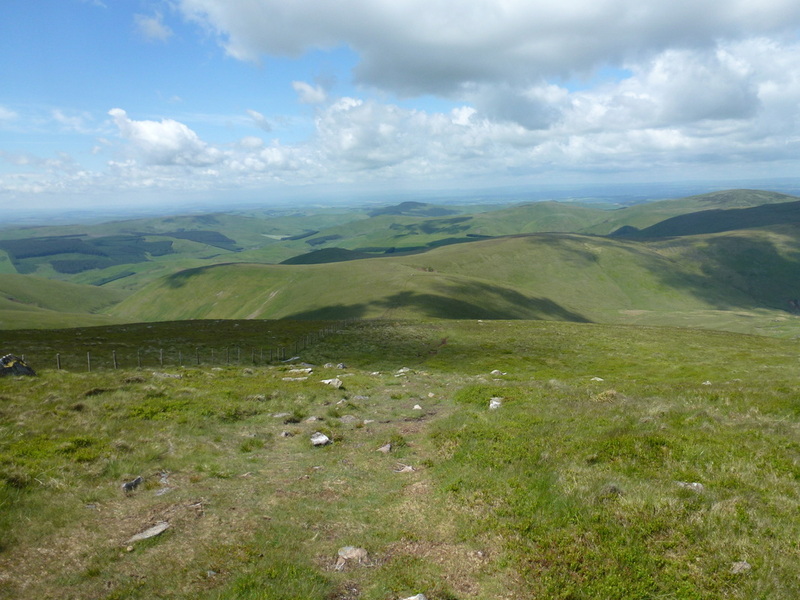 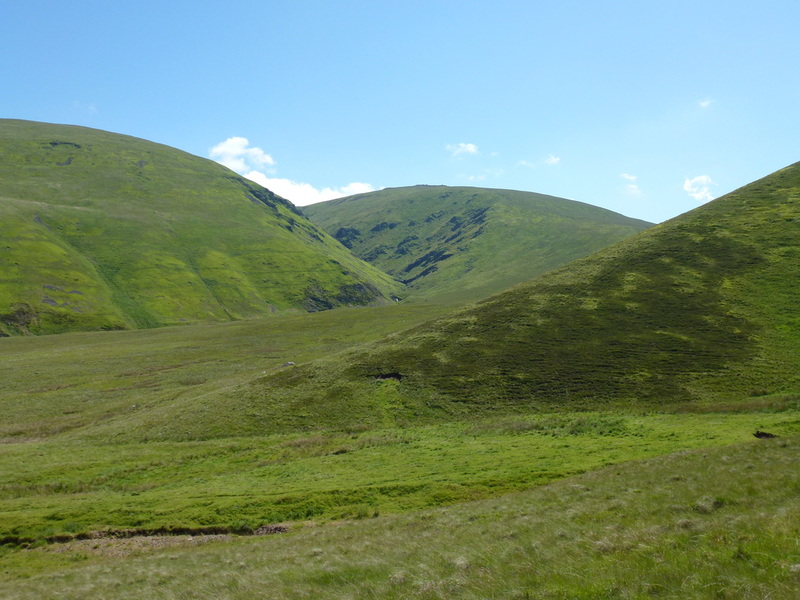 There is now a steep ascent to gain Auchope Cairn from where there are good views over to The Cheviot. 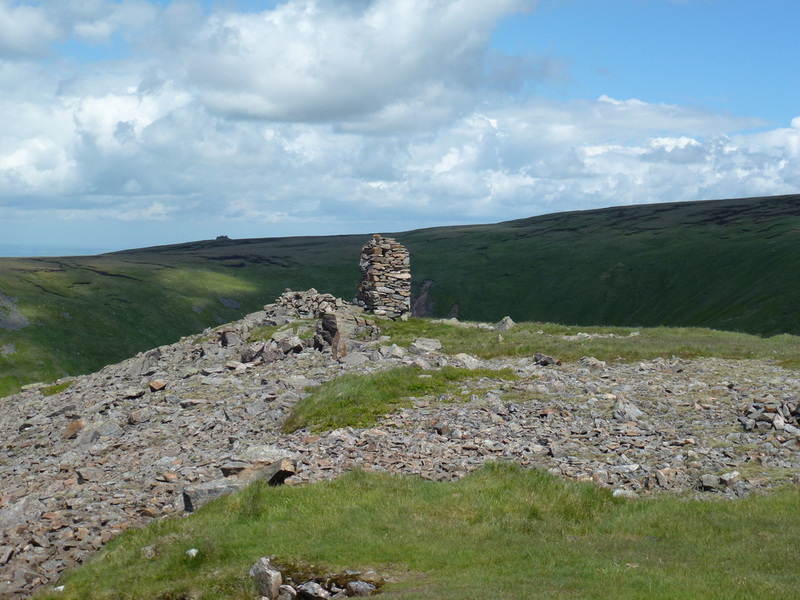 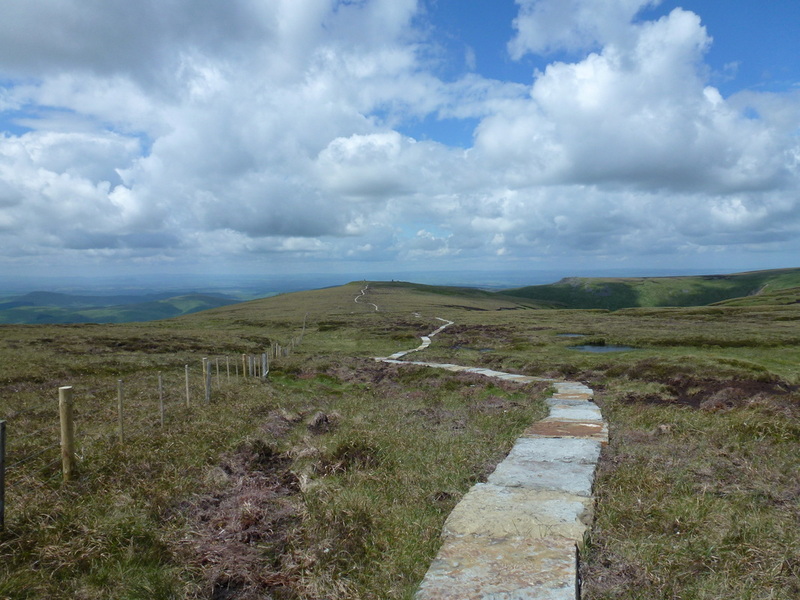 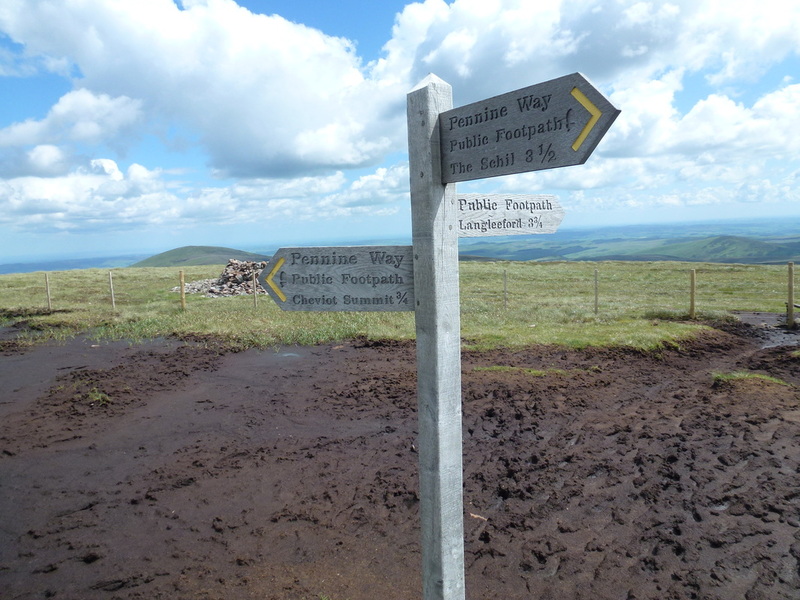 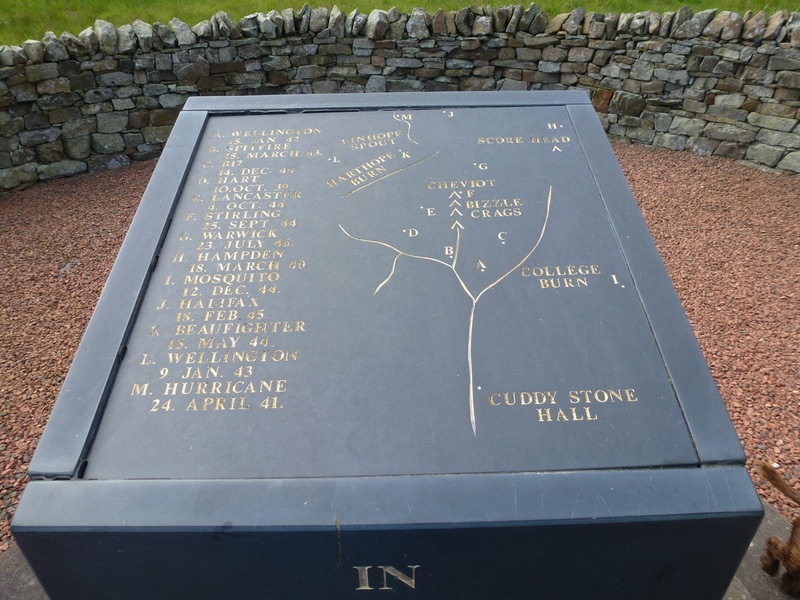 The path from Auchope Cairn is now flagged and crosses very boggy ground, particularly at Cairn Hill where the flagstones really come into their own. 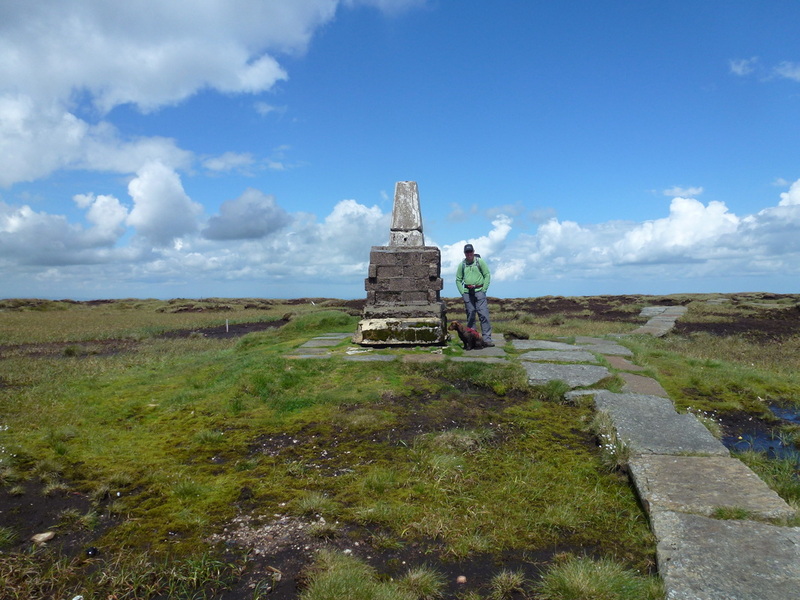 After another mile or so The Cheviot is reached and it is a shame to say it but the summit is a featureless place, let down by its breeze blocked Trig Point. 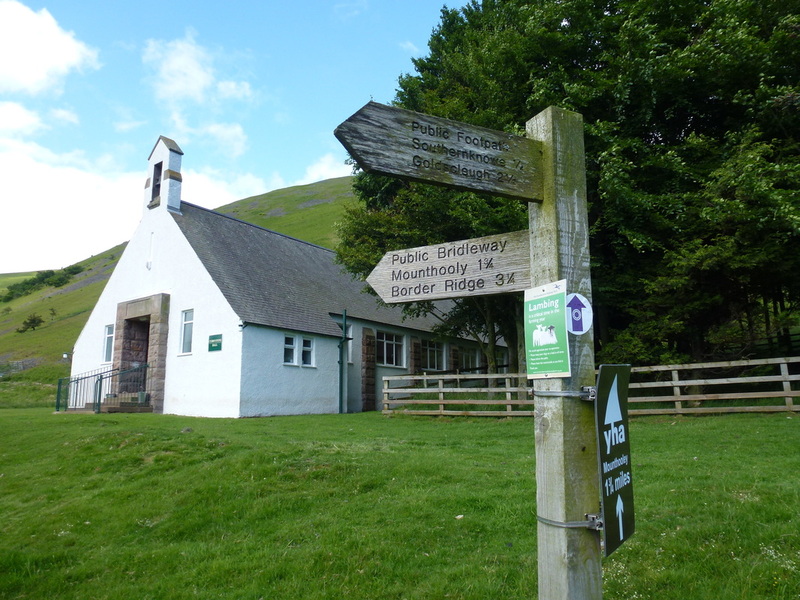 If we were Pennine Way Walkers and had made the mile and a half detour to visit here we would feel a bit let down but after all a walk is still a walk at the end of the day. 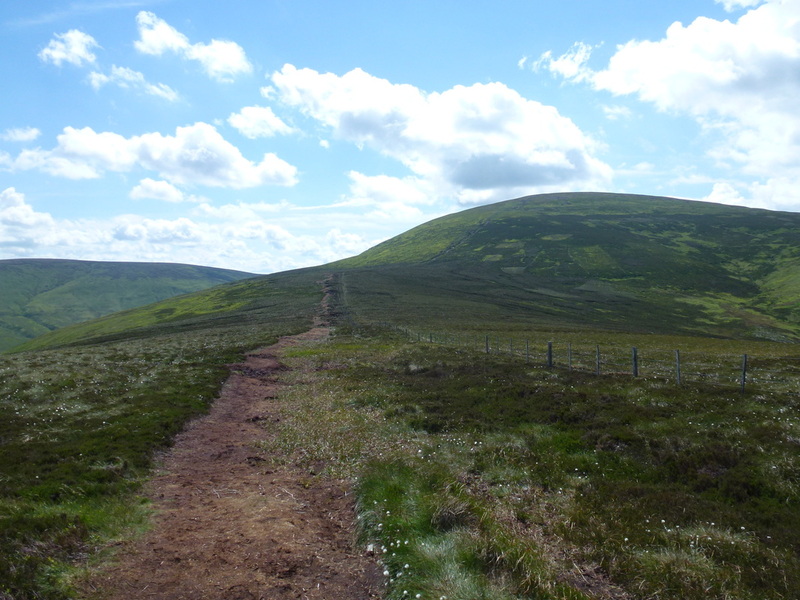 Leaving The Cheviot the route heads down over intermittent boggy ground to Scald Hill and on to Broadhope Hill before joining a good but very long path back to Cuddystone Hall & the Memorial in College Valley. 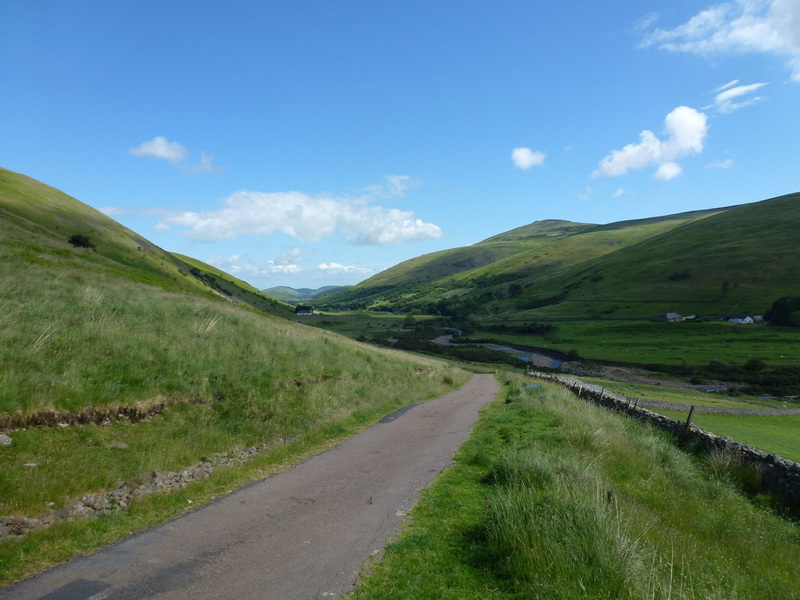 The road is now followed all the way back to the start at Hethpool. 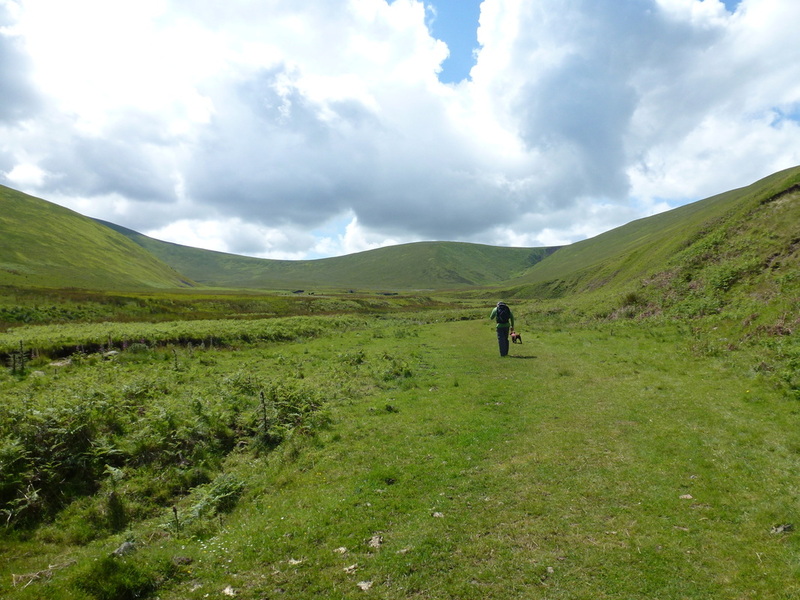 Whilst this is a long walk, the feeling of solitude both in the valley and up on the ridge is fantastic and it was good experience for our Pennine Way attempt next year.